I do feel fatigue a lot. At first I had extreme pain like my bone where being crushed but my Doctor started me on Toradal and decadron through my IV port so I still feel fatigued but the pain was almost nil. I hope this infor helps. We are all just going to be fatigued. It goes along with the whole thing. Do you agree? I'm glad that you don't get the pain in your bones. That would be to much to take with the migrains. So where do u have breast cancer Barb? if so where did ours mets to ? Thanks! I didn't know how much I needed to talk with women going through the same or similar thing. My husband is so supportive and we talked about a cancer support group that is offered in our town. I'm going to start that as well. Barb u can beat this. I have been fighting non stop for 2 yrs and by the end of chemo in Dec my Dr said she will be putting me on 1 of the TDM1 drugs along with the herceptin. I am just about in remisssion and cancer just bout gone again but I have to finish out regimend. I do as my Dr tells me and like u I pray all the time and I let go and give it to god. Thats awesome that u have a son that is very understanding as well Just try to stay positive and keep the faith:) We are all on this new journey together!!!!! Yes. I 've taken once already. I felt very tired, had fever and pains all over my body! Read my comment below about my Dr. giving me meds that make the pain of this treatment go away. ty for ur response Virginia. I have taken zometa for 3 years,I try to get it on Fridays and take ibuprofen a few days ahead of the treatment seems to help a lot. It gives me flu like symptoms for 2 days. Ty for ur response Pam. I am lucky cuz i dont get flu symptons just very fatigued for several days on top of my chemo I am on for reoccurrance till Dec. I have always suffered migrains like my mom so I have all kinds of pain meds for that and other aches and pains. DO u still feel fatigued for a few days after getting ur Zometa after 3 years? I have been stage 4 from the start and been thru all the surgeries rads and other chemos. Unfortunatly surgeries did not work but I have all the faith in my oncolo and u dont no till u try. So no more suregeries. Yahoo about that and I am almost in remission already but per my dr she wants me to finsih out the chemo regimend till Dec for percaution and I just do as I am told. I am greatful because I am her2 pos all the way and my doc said with all thses new drugs comming out withh the chemo in it along with my herceptin I and her have many options to find the best one for me once in remission again when done this chemo. So she wll be putting me on 1 of the TDM1 meds that have been comming out and I usually respond well . So hope to be in remission with the right TDM1 drug for a long time if not forever I told her. Its all in gods hands. I go into remission and then 2 ma later it goes right back to my liver so she said the herceptin is def working . April 2012 I had my last major surgury that she recommended cuz I was def a candidate for it and that was my liver resection. I had a few other options and to think about what I wanted to do and as scarey and risky a liver resection is I spoke to my family and they said they would support me in whatever I chose so I took the bull by the horns and scared as heck did liver resection. Surgeon was excellent and he got all the cancer and he took extra margins to make sure all was clear and it went great. A month later I had my 3 mos PET scan and it came back in a few very tiny spots on other liver lobe. Dr felt terrible but u dont know till u try. I have been thru several surgeries and 2 major . So I respond to chemos well and herceptin is still doing its job . No more surgeries thank god. I am her 2 pos all around so I feel blessed and she said lots of options on the new TDM1 drugs out and that are still comming out and she will be putting me on 1 of those. She said she already has ideas to keep me in a long for a remission and I pray for that. I have been non stop with reoccurrances to liver no more then 2 mos. So after 2 yrs I look forward to getting on a good maint regimend which will be only once a month and keep on keepin on. I am far from giving up. So I look forward to hearing back from ya. Again thx for the response. Sounds like you do have your boxing gloves on and have been fighting like a girl. I do believe attitude is everything.Well about me when I was 28 I was diagnosed with bc.I had a 2 yr old daughter my reason to fight. 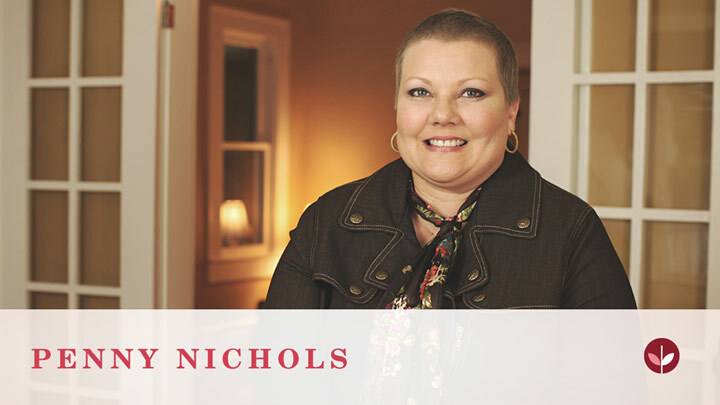 I had a lumpectomy six months of chemo and 38 radiation treatments. stage 2. 3 yrs later I was blessed with another daughter. I went 9 yrs and the cancer return in the same breast.So I was left with no other choice but to have my left breast removed.I had reconstruction a 9 hr surgery.I found my lumps both times.Both times my left arm hurt my doctor told me she had treated thousands of bc patients and only 2 people said their arm hurt, I was guilty of not doing self exams so I tell people that was god looking after me if my arm didn't hurt I wouldn't have found the lump.anyway I am now 52 and have been cancer free the second time for 13 years. I AM BLESSED. When I was first diagnosed I always was afraid I wouldn't see my daughter grow up so I prayed and ask god to let me see her graduate. Well she is 24 and getting married in Sept. GOD IS GOOD. Keep up a good attitude and live in the moment.My doctor always told me never worry until you know you have something to worry about.Keep the faith and stay strong .I hope you feel better real soon. Wow Pamala, you just gave me new hope. This is my second bout with bc.......it's matasitic bc.....it's on some of my bones and in my left lung.....I'm having treatments but have been told that it is terminal. I'm praying and hoping new stuff comes out that my give me longer. I'll keep fighting to the end. No matter what I rely on God to keep me strong and I to do not believe in worrying until I really have to. I stay positive most days. I have my moments I think we all do, don't you? Prayers and hope are all we have Barbara Keep up the fight and I am really sorry you are going though this. No one gets it until they walk in these UGLY shoes.I will keep you in my prayers! I had my first Zometa infusion the week before Father's Day. 30 hours later, my sister and I are eating dinner in Jackson Hole, WY ... a $52 plate of Elk chops ... when I got the most massive headache. My face turned red and my temperature rose to 104 degrees. My body hurt so bad EVERYWHERE ... including my eyeballs. I don't remember much. Trying to get out of the restaurant. Finding a hotel and tucking me in bed, and having an absolute miserable night. By noon the next day, my bones still hurt, but the scary part was over. I don't know if side effects like these lessen over time, but I do know that I think I'd rather give birth to triplets! Hope your experience is much easier. I take Benadryl the day before, the day of, and the day after. So far it's working well to prevent aches and pain also don't notice any fatigue. I just started Zameda, Body was aching like crazy today, how are you doing? I had my first Zometa IV infusion yesterday and today I am very tired, been yawning all afternoon! I will have two treatments a year for the five years I take Arimidex , I sure hope I feel better in a few days! I find all of your comments helpful and enlightening. I do not take the Zometa but will soon begin the Arimidex after my radiation treatment. What kind of side effects can any one tell from the Arimidex? I had extreme hot flashes. I thought I would sweat to death in the summer.